This procession of eyeballs contains an icon that recalls the Reichsadler, or "Imperial Eagle" from Germany's coat of arms (in bright green at right), but it is most likely included here as a reference to the German industrial band Einstürzende Neubauten. Above this symbol is the "Psychic Cross" logo of the band Psychic TV. 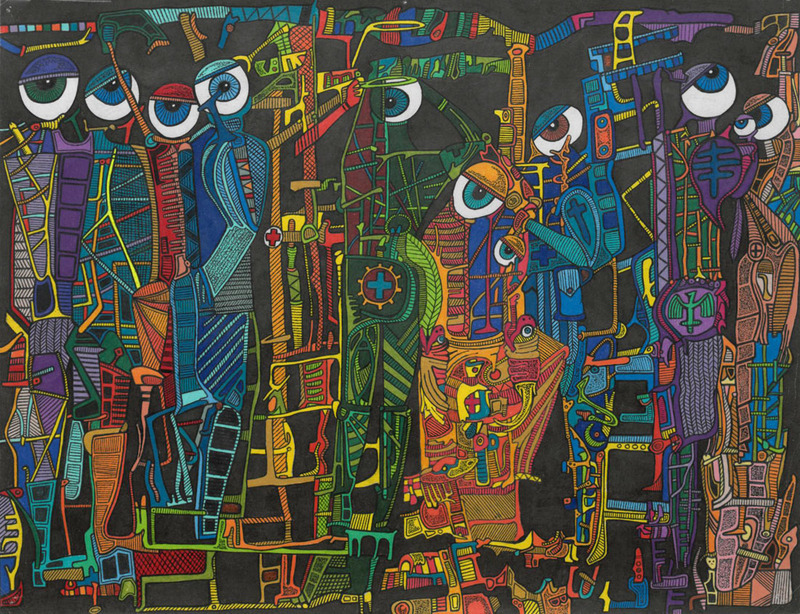 Randall, Jeff, “Eyeball People,” The Art of Jeff Randall, accessed April 20, 2019, http://jefferyrandall.com/items/show/143.